With nearly one in five adults in the United States experiencing a mental illness, understanding how to help them is more vital than ever. Luckily, there is an educational program called Mental Health First Aid (MHFA) designed to teach participants valuable lessons for helping these individuals. MHFA explains how to recognize signs of a mental health problem, offer initial help, and connect individuals to the appropriate professional, peer, social, and self-help care services. Participants in the course also learn the common risk factors and warning signs of specific types of illnesses, including anxiety, depression, substance use, bipolar disorder, and schizophrenia. Like CPR, MHFA prepares participants to interact with a person in crisis and connect them with help. It’s important to note that “First Aiders” do not take on the role of professionals — they do not diagnose or provide any counseling or therapy. Why is learning Mental Health First Aid important? Mental health problems are common. Nearly 19 percent of adults in the United States, about 43.8 million people, experience a mental illness in any one year. The prevalence of mental disorders in children and teenagers is also estimated to be approximately 20 percent of the population of that age group during a given year. There is stigma associated with mental health problems. Negative attitudes and behaviors about mental health disorders and treatments can cause those affected to try to hide their problems and avoid getting necessary help. Many are not well informed. Some individuals may not know how to recognize mental health problems, how to respond, or what effective treatments are available. Professional help isn’t always on hand. 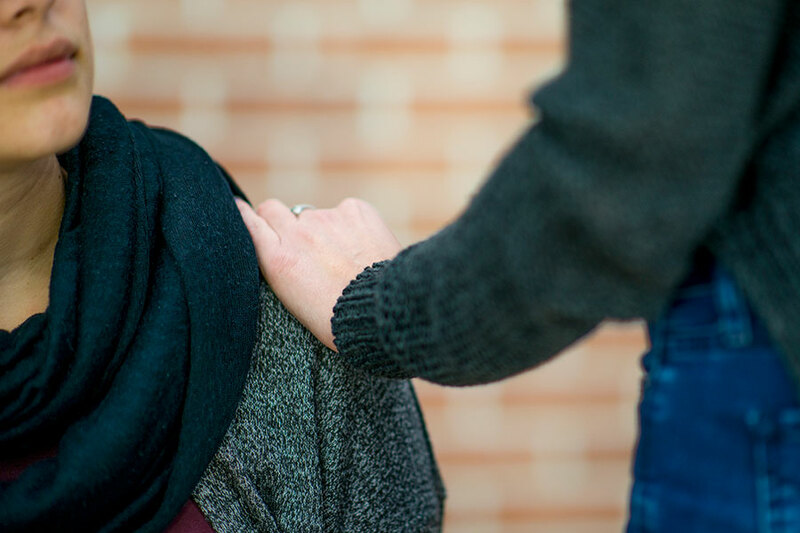 When these resources aren’t available, members of the public can offer immediate first aid and assist the person in finding appropriate help and support. Few know how to respond. Participants learn a five-step action plan to be able to support someone with a mental illness or who develops the signs and symptoms of an emotional crisis. Those with mental health problems may not seek help. Those individuals may not realize that they need help or may be unaware that effective help is available. In the U.S., only 41 percent of those with a mental disorder in the past year received professional help. Who should take the MHFA course? Mental Health First Aid is intended for anyone in the community who is not formally trained in behavioral health. The course has been successfully offered to hundreds of thousands of people across the U.S., including hospital staff, employers and business leaders, faith communities, social service organizations, public and private schools, higher education institutions, law enforcement, and the general public. For more general information about Mental Health First Aid, visit www.MentalHealthFirstAid.org. For information on the local Bradley Hospital/Gateway Healthcare Mental Health First Aid Program, visit our website or contact Kim LaFountain, LMHC at 401-606-5759. Kimberly LaFountain is a behavioral education development specialist and Mental Health First Aid Coordinator at Bradley Hospital.